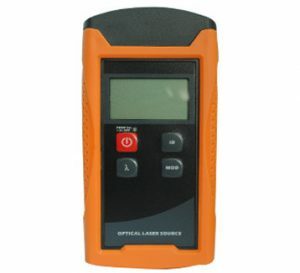 It is a new generation handheld Optical Laser Source. It has Laser calibrated at 1310/1550nm wavelengths to enable link loss testing using Power Meter. By calibrating the source, with the meter connected directly, zeroing the meter and then inserting the cable, the cable loss can be measured directly.